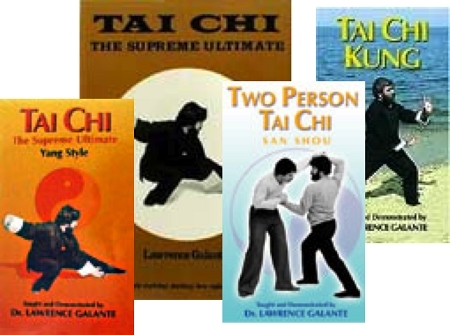 This package includes a $100 registration fee plus $100 for 2 sets of Tai Chi form evaluations, as well as the following required course materials by Lawrence Galante: "Tai Chi-The Supreme Ultimate," book and DVD, "Two Person Form" DVD, and "Tai Chi Kung" DVD. All form evaluations are done by Lawrence Galante. Instructions on how and when to submit your form for evaluation are included in this registration package. You can also read a description of the requirements here.